Why do I have to register to use e-PatternsCentral.com? How do I sign in once I have registered? Can two people have an account on one computer? My email address changed, how do I let you know? Are you wondering if it's safe to use your credit card on the Internet? I don't have a debit or credit card, can I still purchase your e-Patterns? Can I order e-Patterns by phone and have them delivered to my home? I don't have a printer or I can't get my e-Patterns to work on my computer, can you send me copies of e-Patterns in the mail? Can I change, cancel or delete an e-Pattern order? When will I receive my e-Patterns? How do you deliver your products and what are the charges? When I tried to check out, I received an invalid cookie error that said my logon ID may be in use by another user. What does this mean? I can't get my credit card number to work, what is the problem? 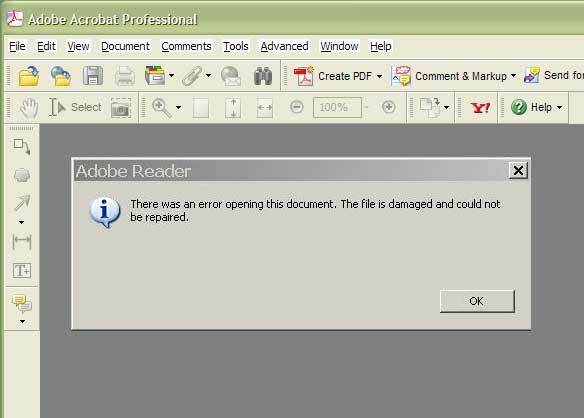 I have Windows XP and Adobe Reader 6.0, but I am not able to download your patterns. What now? During check out I received the following message "Unable to Contact Verisign to Authorize Credit Card -- Please try again later." What does this mean? My claim code is not working. What can I do? I received an error when trying to open my pattern. What do I do? Are my purchases available on the iPad? You do not have to register to browse through our hundreds of great patterns. However, we do require registration prior to completing a purchase on our site. All accounts are accessed by entering an account name and user-chosen password. Once logged in, you can view your order history. As a fast-growing website, we will be constantly adding new patterns. We can keep you up to date on all those great patterns as they are added. So, what do you have to lose? Registration is FREE! Click on the Customer Sign In link in the top navigation and enter your username and password. If you forget to log in before you begin checkout, you will be taken to a sign in screen. We'll email your username or password to you if you forget it. Simply click on the Lost Password link in the top navigation and fill out the form there. Once we have verified your information, your username or password will be provided to you. Yes, two or more people can have an account using one computer. To ensure account security, do NOT utilize the "Remember my Password" feature in either the computer's operating system or the Internet browser. Registered customers who share a computer should leave the "Remember my Password" checkbox unchecked, and type in your username and password at every visit. If you cannot find an answer to your question here in our FAQ section, please fill out our customer service request form. Click on the Customer Sign In link in the top navigation, sign into your account and modify your email address. Then the next time you visit the site, log in with your new email address. We use the industry standard for Internet security, Secure Sockets Layer (SSL) encryption, to scramble personal and credit card information as it travels over the Internet during the checkout process. We protect all personal information, including your name, address AND credit card information. Our security and privacy policies are periodically reviewed and enhanced as necessary. You will know you're in the "secure" area of our site when you click on the "Checkout" button. Notice that the "http" portion of our website address in your browser changes to "https." The "s" stands for "secure." In addition, Safari, Firefox and Internet Explorer use special symbols to indicate that you're in a website's secure area. (Recent versions of Safari, Firefox and Internet Explorer show a closed, highlighted lock.) Some browsers let you know that you're moving in or out of a secure area by notifying you with a special pop-up window that requires you to click "ok" before continuing. The answer is YES. Secure Sockets Layer (SSL) encryption scrambles your credit card number when you submit your order, making it completely unreadable as it travels over the Internet. Registered customers can store credit card and billing information on e-PatternsCentral.com to make shopping easier and faster. We protect all personal information including your name address AND credit card information. To save or change our credit card or billing information, click Customer Sign In at the top of any page on our site and update your information within your account. Please note that for security reasons, we require you enter your password to access your credit card information, even if you have already signed in on the site. New credit card information will replace any existing card on file. We only accept credit cards, debit cards or pre-paid credit cards issued by a major bank online for payment. Sorry, we do not accept checks or cash in payment for e-Patterns, nor can you order e-Patterns over the phone. Due to the digital nature of our e-Patterns, you can only order them at our website. I don't have a printer or I can't get my e-Patterns to work on my computer, can you send them to me in the mail? You do not need a printer to purchase our e-Patterns; you can always read them from your computer screen. Our site is designed to deliver your patterns to you immediately without any shipping charges. Due to the digital nature of our e-Patterns, we are not able to print them for you and deliver them to your home, nor can we forward them to you as an attachment to an email. Orders placed at e-PatternsCentral.com cannot be changed or canceled. Since orders are delivered immediately, an e-Pattern order cannot be canceled. Our server sends a confirmation message to you at the email address you provided on the check out form. This confirmation will contain the all-important links making it possible for you to download your e-Patterns. Simply click on the link and the e-Pattern will begin to download. For this reason, it is very important that you enter your correct email address in the check out information! After your purchase is complete, you can also find your purchased e-Patterns listed in your My Bookshelf section within the customer log-in area. Your e-Patterns will not be delivered to your home. For home delivery of printed patterns, visit AnniesCatalog.com to purchase printed pattern books. All e-PatternsCentral.com products are delivered electronically, directly to your computer. You will receive a confirmation email almost immediately. If you have not received an email within 1 hour, please check your bulk or spam folder. If the confirmation email is not located there, just visit your My Bookshelf in the customer log-in area. If you still are unable to locate your newly purchased e-patterns, please contact customer service. At e-PatternsCentral.com there are no delivery charges! All purchased products can be sent to any valid email address anywhere in the world. We will send you an email confirming each order you place at e-PatternsCentral.com. If you have not received your order confirmation email, here are some possible reasons. Typographical error in the email address entered during registration. We've found the most common reason that emails are not received is that a typographical error was made while entering an email address. Sign in on the site and modify your account information. Preferences or email filters may be blocking our email. Email programs installed on your computer to control junk mail (such as Human Authenticator, HushMail Spam Control, Mailblocks, Spam Arrest or Spam-Sieve). Some internet service providers filter email. You may want to contact your internet service provider to confirm that you are able to receive emails from customer_service@e-PatternsCentral.com. If you continue to experience issues receiving our emails, you may want to subscribe to a free email service provider (such as Gmail, AOL Mail or Hotmail) to receive emails from us. You will need to update your account on the site, and re-sign up for your daily emails. If the email address you entered for your order is a corporate email address and your company's network filters for junk email or email that is not business related you may not receive the confirmation or shipping status emails. If your email program allows you to set up restrictions around incoming emails you may want to review this as a possible cause. The cookie is based on what you have in your shopping cart in the browser. If you tried to add something without allowing the browser to update after a previous addition, you may receive this error. Unfortunately, this also means you have to start all over again. Hit the back button on your browser and make a note of the e-Patterns in your shopping cart. It's best to close your browser and open it again to allow the cookie to expire. Add the e-Patterns back to your cart and proceed to check out. Incorrect information may have been entered at the time the order was placed. When entering your credit card number in the check out form, make sure you do not include any dashes or spaces, only numbers. Remember to select the expiration date shown on your credit card and don't forget to update your account information when issued a new credit card. Debit cards must be the type that is usually referred to as a check card. If you are using a debit card, that does not have a credit card logo on it, this will not work; ATM cards with no credit card logo will not work. Prepaid credit cards issued by a major credit card company are accepted. In some cases, it is possible that your antivirus protection contains a firewall, a standalone firewall or other protective software installed to help prevent against spyware, viruses, malicious code, etc. which may be prohibiting your ability to download the pattern. If you think this might be the case, refer to your software's documentation for instructions on how to add safe sites to the software's list. Be sure to restart your computer after making changes to firewall and antivirus software settings because although they may appear to accept the new settings immediately, this is not often the case. The VeriSign server may be experiencing heavy traffic. This is generally a very short-term problem and re-submitting your order immediately will usually result in a successful transaction. e-PatternsCentral.com does not accept returns for any downloaded material. However, if you are experiencing technical difficulties, please contact customer service. Notification of any issues must occur within 10 calendar days of the original sale. My claim code is not working. What do I do? If you require assistance due to technical difficulties, please contact customer service. e-PatternsCentral.com bookshelf and clicking on the download link below the pattern with which you experienced the problem. If you continue to receive this message over several attempts and feel you require additional assistance due to technical difficulties, please contact customer service. Our websites, including the shopping cart and your customer log-in work on an iPad, just as if it was a laptop. You can purchase and download digital product from our site directly to your iPad into the iBooks application. Be sure to always do this using secure wireless or Internet. The pattern or book will show up in the bookshelf under PDFs instead of Books. If you purchase digital product using a desktop or laptop computer, you'll need to do the following to view your product on the iPad. Beginning on your computer, select the PDF file to add to iBooks by importing it into iTunes. Open iTunes, then go to "File", "Add to Library" and then select the PDF file. Then select the file in the iBook section in iTunes and sync to your device. It will show up in the bookshelf under PDFs instead of Books. Read tips for first time customers.